It's a moisturizer ... with benefits. Simply sweep over skin from shoulders to knees and toes to jumpstart the firming, exfoliating, hydrating and nourishing action. Skin looks revived, smooth and visibly rejuvenated. Tropical coconut delights the senses as nourishing shea, skin affirming caffeine and hydrating kola nut return skin to a baby soft state. Exfoliate: A potent combo of malic acids works tirelessly to ditch dead skin cells and even out skin tone, helping sun-damaged areas look healthy and happy. Hydrate: Sweet almond, apricot kernel and shea butter oils work in perfect harmony to hydrate thirsty skin. Nourish: Antioxidant vitamins and minerals valiantly fight off harsh environmental forces that threaten skin health. 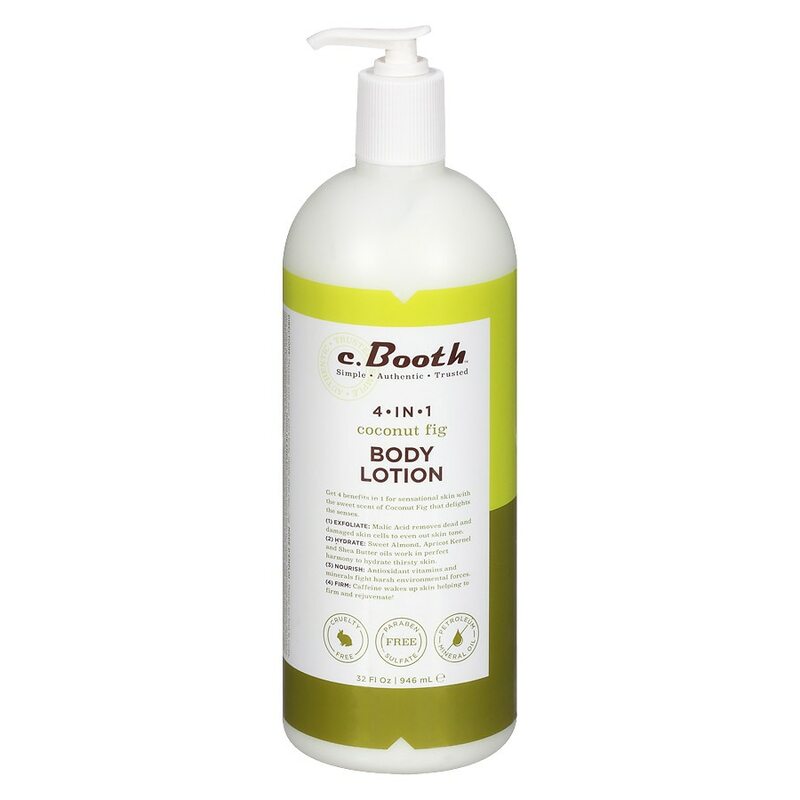 Free of parabens, sulfates, mineral oil, petrolatum. Not tested on animals. Use only as directed. Discontinue use if rash, redness or itching occurs. Consult your physician if irritation persists. Keep out of reach of children.